Aww....you empower them by making memes like this. Pretty pathetic, right? "I made fun of a liberal, that means I'm a true patriot!" 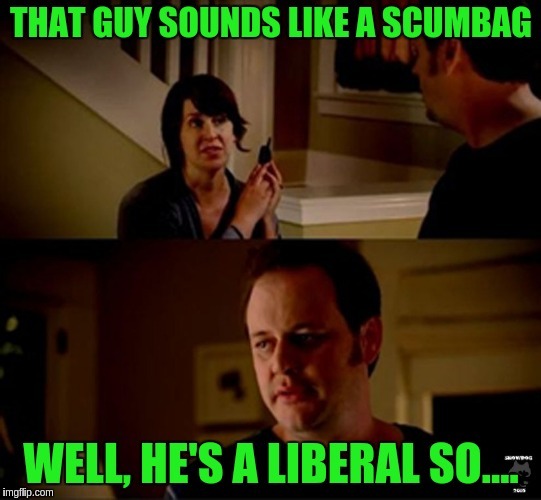 My thing is- by blaming Liberals for the downfall of everything "conservative" from the pledge of allegiance to Merry Christmas to right to life/abortion, to EVERYTHING else they b**ch about.....A. it makes Liberals SO POWERFUL...they give LIberals a lot of credit! And B. they seem like whiny little snowflakes. Haha, yeah. It's about like; "I put down a conservative, that means I'm an enlightened intellectual!" Ad hominem attacks serve no one.